I really liked it when she got under the sheets and made her way up my legs while the stylus scratched the silent strip on the LP, until the first notes of “Help!” blared from the speakers. Then Cristina would abruptly get up, inflating the cloth that would, in mid-air, turn into a skirt, sweeping at me with its wide seams, while Cristina twirled and jumped on the mattress, taken over by the quick rock ‘n roll. The microscopic apartment would naturally wake up with a start, and dad, grumbling from the kitchen, would tell us not to disturb the neighbors that early in the morning, his voice filtered through the pink flatness of the sports newspaper. Cristina paid no attention and carried on with her air guitar, making me smile though I was barely awake. But after a few seconds I, Cristina, John, Paul, George and Ringo would be shaking up the room with the energy of a concert for an audience composed of mom and dad, who would be leaning against the door frame, phased by the frolicking sisters. That was Cristina: a radiant thing. Vivacity personified. With wire rim glasses and a captivating smile. And that's how she barged in, announcing that she'd got into a public university. The daughter of a cobbler and a homemaker among the crème de la crème of carioca society, studying to become a doctor. I remember mom making a special dinner: kafta and dolma. We had ataif for dessert and dad even let us listen to "Yesterday" while we cleared the table. In the days that followed, before we'd fall asleep, she'd tell me about the books she'd read, about the routine on campus. That's where she met Paulo, a tall guy with thick-framed glasses. Paulo didn't speak much and was always alert. And with these watching eyes he uncovered reality for Cristina; the floral bedroom wallpaper that veiled a city of buildings and sick people persecuted by lead poisoning. Cristina stopped wearing dresses and got a short haircut. She began missing bed time. I'd hear her in the middle of the night sneaking around, hiding things, voices. She constantly argued with dad, stopped smiling, dimmed. Then one day she disappeared. For days, weeks. Mom suffered and didn't eat. Dad closed the shop and started looking for her. He, too, disappeared. When they reappeared dad carried Cristina in his arms. She looked like a rag doll. She made no sound at all and her eyes were wide open, staring into nothingness. Her mouth constantly half open. Later mom asked me to help with her toilette and I noticed bruises as well as burn marks on her body. Someone had done something very bad to her. Why? Paulo never showed up to give an explanation. Cristina became a delicate plant that needed full-time assistance as not to wither. When she was sitting in a chair in the sun, it was as if the sun found no resistance and lit the floor where a shadow should have been found. Cristina no longer inhabited herself. At times when we were alone I'd play the "Help!" LP loudly, but the music had no effect on her pallid face. That's when I began to cry, without pause, for years. Until the day Mark Chapman shot John Lennon, then I stopped. I sat next to Cristina and sang "Yesterday" to her. 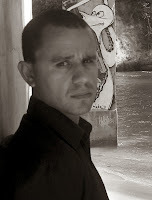 SERGIO TAVARES was born in 1978 and lives in Niterói, State of Rio de Janeiro. 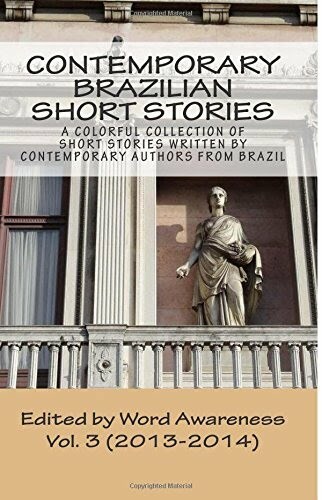 In 2012 he published Queda da Própria Altura [Falling from Your Own Height] and, in 2010, Cavala [Mackerel] which won the National Sesc Literary Award in the Short Stories Category.